Born in Singapore in 1924, Othman Wok was educated in Malay and English at Telok Saga Malay School and Raffles Institution. In 1946, he joined the Utusan Melayu Press as a reporter covering local and foreign news. Except for a year in 1950-51, when he attended a diploma course at the Polytechnic School of Journalism in London, he remained at the newspaper where he rose to the rank of Deputy Editor. When Singapore gained independence in 1963, Othman Wok left journalism to enter the world of politics. 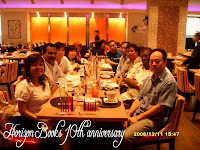 He was elected as Assemblyman for Pasir Panjang Constituency and was appointed Minister of Social Affairs and Culture, a position he held till 1977. He then served as Singapore’s Ambassador to Indonesia from 1977-1980. He retired from active politics in 1980. 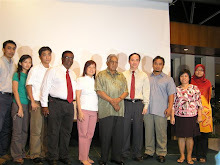 In 1983, he was awarded the Order of Nila Utama (2nd Class) by the Singapore Government for his services to the country. Currently, he is director of various corporate companies. Othman Wok is married with four children. Enter the world of Malay ghost stories with Othman Wok. In this Compilation, the author shares with you more than twenty tales, some original and others the retelling of popular ghost stories passed down through generations. You decide if they are true or mere tales. In this compilation, Othman Wok shares with you more than twenty macabre tales from Singapore , Malaysia and Indonesia ; some original and others the retelling of popular ghost stories passed down through generations. Sinister, menacing, gruesome…, Wok braved frightening locales to deliver a bizarre assortment of terror-tinted tales to chill your bones! Nobody knows when, where or why the first ghost haunted this earth. From the days of our ancestors, words have been whispered about the unreal presence in the night… shadows of the dead which have refused to die and have brought fear to us. His friends and acquaintances who have experienced them related the stories in this book to the author. The rest are purely imagination.